Jorge Lorenzo admitted he had mixed emotions after he lost an unforgettable Catalunya MotoGP race in Montmelo today. The home favourite thought he’d won his first MotoGP race in Spain and thrilled a massive crowd of 88,502 fans as he led Rossi going into the final corner. 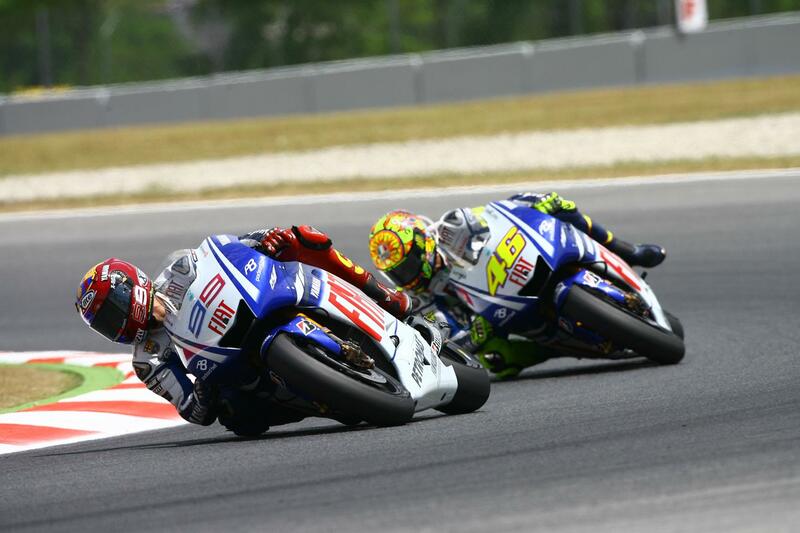 The pair had slugged it out over 25 nail-biting laps but Lorenzo’s hopes of a third win in 2009 were crushed by a stunning and inch perfect overtaking move by Fiat Yamaha team-mate Rossi at the last corner. Lorenzo was defeated by just 0.095s and the Yamaha duo and third placed Casey Stoner are now locked level on 106-points at the top of the world championship. The 22-year-old, who had claimed a brilliant pole position on Saturday, blamed his failure not to run a tighter line into the final right-hander for giving Rossi room to pounce. “It was an incredible battle today and a brilliant show for everyone, I am happy to have been a part of it. "Of course I am sad to have lost because I put my heart on my bike and in my career I am more used to winning these last-lap fights, but today Valentino was maybe a little bit cleverer or a little bit braver than me at the very end and he was able to beat me. "In fact during that last lap, after I passed him, I expected him to pass me back on the brakes much earlier but he didn’t come. "I expected him to pass me in the braking at the end of the back straight but I kept my first position and I was surprised. "And also in the stadium section, I expected him to pass me but in the easiest corner to maintain the first position, he overtook me.